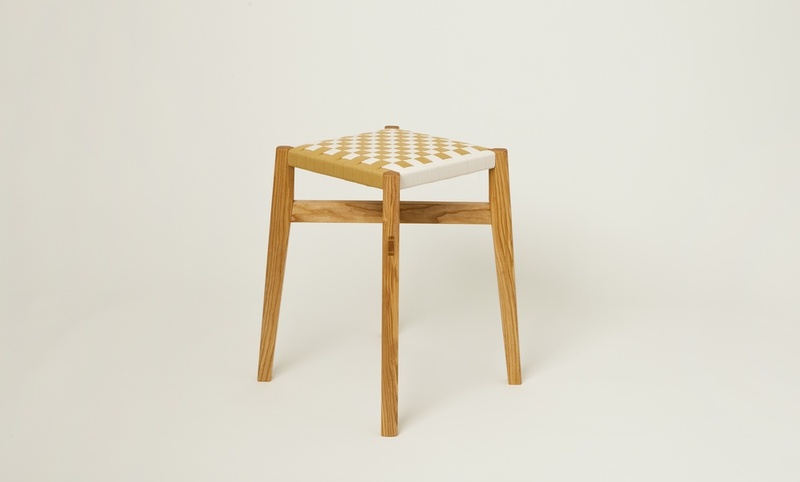 Stool in Devon Ash with woven cotton tape. The seat height of 46.5cm makes this good for use at a kitchen or dining table. Can also be made at other heights. A range of tape colours are available and I can make this stool in many different timbers. Please contact me for samples.